“Premature births” is a very misleading term. The misconception is that, well, the baby was born. It is ok. What’s the problem? The problem is that throughout pregnancy the developing baby goes through important growth, especially during the final months and weeks. Specifically, the brain, lungs, and liver require the final weeks of pregnancy to fully develop. Babies born too early (especially before 32 weeks) have higher rates of death and disability. November has been designated as Prematurity Awareness Month to foster a better understanding of this situation. An estimated 15 million babies around the world are born prematurely each year and sadly, more than one million of them do not survive their early birth. Where is America in that statistic? 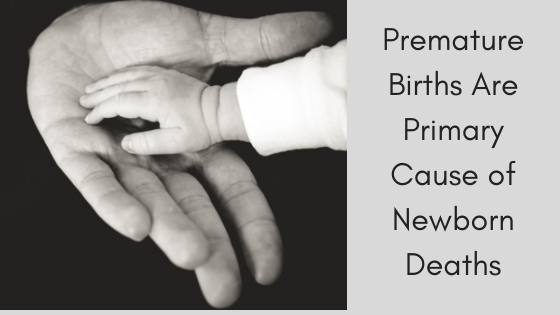 According to the March of Dimes organization, we have the highest rates of preterm birth of any industrialized country. With more than seven deaths per 1,000 live births versus the national average of fewer than six per 1,000, North Carolina is ranked among the highest in the nation for infant deaths. That is according to the 2018 America’s Health Rankings Health of Women and Children Report. Mortality statistics aside, babies that survive are not in the clear. As mentioned above, babies need time to develop. For example, while a baby’s eyesight begins to manifest at 16 weeks gestation, it needs a full month after birth (38 to 40 weeks) to fully develop. Premature babies run the risk of being diagnosed with Retinopathy of Prematurity. It is not a pleasant thing to discuss. The retina can detach from the back of the eye due to abnormal blood vessels that formed. It is a potentially blinding disorder. Other likely areas of concern include breathing problems, Cerebral palsy, developmental delay, feeding difficulties, and hearing problems. Natalie Gordon is a full-time Program Facilitator for NICU Helping Hands in Fort Worth, Texas. In a Nov. 2017 blog, she detailed what she went through when her twins were born at the 24-week mark. Along the way, she imparts facts and suggestions, especially the critical importance of bonding. As you can well imagine with all these ensuing medical conditions & follow up tests, besides taking an emotional toll on families, preterm births are also a financial burden. November 17 was recognized around the globe as the fourth annual World Prematurity Day. More information is available at www.facebook.com/WorldPrematurityDay, where families and volunteers can share stories and videos about babies born too soon. The page features an interactive world map showing the home place for each story told. If you have concerns, you are encouraged to visit marchofdimes.org or nacersano.org for more information. Another good place to visit for comfort & support is shareyourstory.org. You will find additional content about/by the March of Dimes organization on the Facebook, Instagram and Twitter social platforms. In North Carolina, visit the Facebook page.